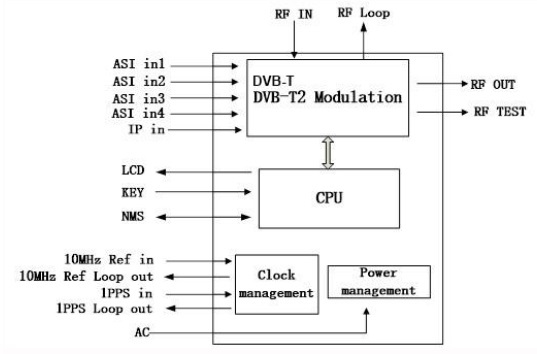 The ADV-8410 is a broadcast modulator designed for operations in full compliance with the DVB-T and DVB-T2 standards. It offers a cost effective, professional solution for generating high-quality RF signals suitable for broadcasting. The ADV-8410 includes linear and non-linear Digital Pre-Correction (DPC) that can optimize the efficiency of the transmission. It can operate in MFN environments, supports single-PLP, and can receive transmission signal through its ASI and IP ports. The ADV-8410 is controllable through the WEB based interface or the front panel.